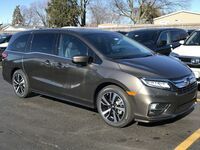 Families looking for a vehicle that can adapt to their needs can end their search here at Continental Honda in Countryside, IL just outside of Chicago. 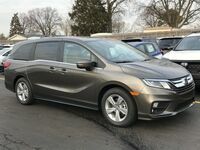 We recently welcomed the new 2019 Honda Odyssey to our inventory and along with it comes a long list of comfort, convenience and entertainment features designed to keep driver and passenger alike happy and comfortable on the road. At the core of the 2019 model sits a 3.5-liter V6 engine that is able to produce up to 280 horsepower and 262 lb-ft of torque. 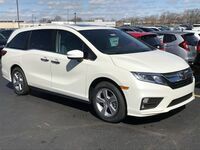 An important factor to most families, the 2019 Honda Odyssey also offers affordable fuel economy. Its fuel economy ratings are estimated at 19 mpg in the city and 28 mph on the highway for a combined 22 mpg rating*. Models that have been properly equipped are also able to tow up to 3,500 lbs. Buyers have the option between either a 9-speed automatic or a 10-speed automatic transmission. 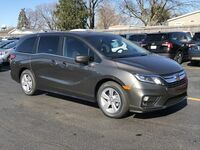 As we mentioned earlier, the 2019 Honda Odyssey features a variety of different technologies and features designed for convenience, entertainment, comfort, and safety. 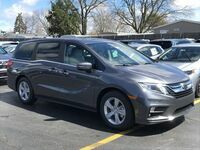 With a total of six trim levels to choose from, it’s easy for shoppers to get the features they’re looking for at a price point that fits their budget. Safety and Driver Assistance Features: Collision Mitigation Braking System, Multi-Angle Rearview Camera, Lane Departure Warning, Forward Collision Warning, Lane Keeping Assist, Adaptive Cruise Control, Blind Spot Information System, Auto High-Beam Headlights, and more. Comfort and Convenience Features: wireless phone charging, CabinWatch Rear Seat Monitor, Advanced Rear Entertainment System, CabinTalk In-Car PA System, Apple CarPlay and Android Auto connectivity, leather-wrapped steering wheel, automatic climate control, electric parking brake, remote engine start, Active Noise Cancellation, heated and ventilated seats, USB and auxiliary connectivity and much more. 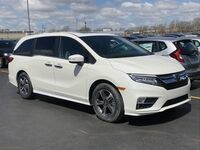 If you’re interested in the new 2019 Honda Odyssey here at Continental Honda, click the button below to contact us online or give us a call and we’ll be happy to answer any questions you may have or set you up with a test drive in one of our available vehicles. *Based on 2019 EPA mileage ratings. Use for comparison purposes only. Your actual mileage will vary depending on how you drive and maintain your vehicle, driving conditions and other factors.